The Queen’s University Northern Ireland Cancer Registry (NICR) has released details of the number of new cancer cases diagnosed (incidence) in Northern Ireland in 2016. The yearly average of incidence for patients diagnosed 2012-2016 is presented as a stable estimate of incidence in Northern Ireland (NI), and in various geographic groups. The release also updates cancer incidence trends and survival statistics 1993-2016. In the period 2012-2016 in addition to 3,718 cases per year of non-melanoma skin cancer (NMSC) there were 4,607 male and 4,632 female patients diagnosed with cancer each year during 2012-2016. The most common cancers diagnosed among males between 2012 and 2016 were prostate (24% of all cancer in males), colorectal (14%) and lung (14%) while the most common cancers among women were breast (30% of all cancer in females), lung (13%) and colorectal (11%). Cancer risk is strongly related to age with over 60% of cases occurring in people over the age of 65 and incidence rates greatest for those aged 85-89 years. Excluding NMSC the odds of developing a cancer by the age of 75 was 1 in 3.5 for men and 1 in 3.7 for women. 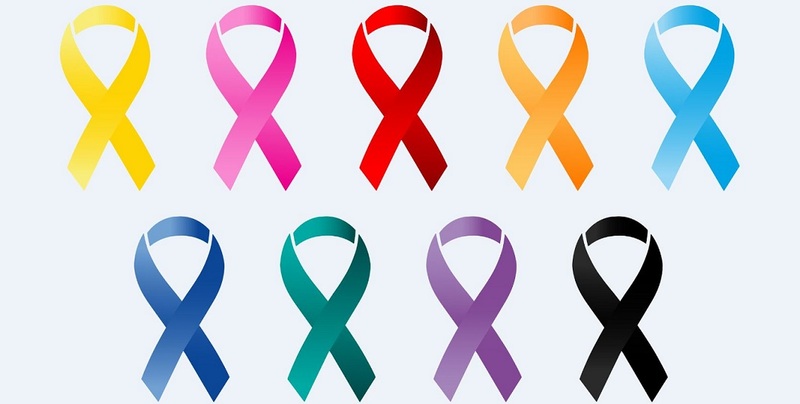 Over the last ten years the number of cancer cases (excluding NMSC) has increased from 4,044 among men and 3,885 among women in 2007 to 4,629 among men and 4,817 among women in 2016. These increases are largely due to our ageing population. After adjusting for age, following a steady increase in cancer incidence rates in males since 1999, rates decreased during 2011 to 2016 by an average of 1.5% per year. In contrast, since 2001 female incidence rates have shown a continuous increase by an average of 1.0% per year. These changes reflect increasing rates of lung cancer linked to historic smoking trends among women and increasing breast cancer incidence. In 2016, for the first time, there were more cases of lung cancer diagnosed in women than men with 698 cases compared to 653, respectively. Lung cancer incidence rates (adjusted for age) are declining in men however continue to significantly increase in women at almost 6% per year since 2010. Incidence rates of colorectal cancer have been decreasing in both men and women since 2012 and 2013, respectively, by 5% per year. The number of in situ-cervix cases and age-adjusted incidence rates are markedly lower in 2016 compared to the previous 10 years. There were 920 cases diagnosed in 2016 compared to 1,162 cases in 2015. Cancer incidence is 10% higher in the most deprived areas compared to the Northern Ireland average and 4% lower in the least deprived areas. This varies significantly by cancer site with incidence of lung, head & neck, oesophagus, stomach, male-colorectal and cervix higher in the most deprived areas and incidence of melanoma and breast cancer higher in the least deprived areas. Over 55% of all cancer patients survived five years after diagnosis, 20% of patients died within 6 month of diagnosis, while over 70% of patients were alive one year after diagnosis. Five-year net survival rates, which take account of background mortality, for patients diagnosed between 2006 to 2010 were as follows: female breast (81.7%), colorectal (57.6%), prostate (88.7%), lung (10.4%). These survival rates have all shown improvement compared to patients diagnosed in the period 1993 to 1999, although gains in lung cancer survival were slight. Comparisons of five-year survival for patients diagnosed 2006-2010 to those diagnosed 1993-2000 show survival improvements for all cancers except bladder cancer which has decreased in both females and males. This is likely linked with coding changes so not comparing the same types of bladder cancer over time. Comparing these two time periods, significant improvements in leukaemia and oesophageal cancer five-year survival have been observed, likely a reflection of improvements in treatments. With regard to cancer prevalence, at the end of 2016 there were 61,038 people living in NI who had been diagnosed with cancer since 1993. Of these, 43.7% were male, 47.4% were aged 70 and over and 10.9% had been diagnosed in the previous year. Legislation designating the Northern Ireland Cancer Registry (NICR) as an official producer of statistics came into place 01 April 2012. Media inquiries to Zara McBrearty at Queen’s University Communications Office, tel: +44 (0)28 9097 3259.